For those that know me, know I love Mexico. The romance, the music, the adventure, the history, the culture, the cuisine, the cervezas… Ah, the list can continue and continue. Essentially it can go on for an entire blog post; there are many more than seven reasons. But I know Mexico, do you? I lived in Mexico City for nearly 16 months and only came back kicking and screaming (from a consulting project). At some point, I even plan to write a book titled, “The true danger of DF, falling in love with the city.” But my affair runs even deeper. I traveled across the diverse country from Baja to Mazatlan, from Mexico City, Puerto Vallarta, Acapulco, San Blas, across the Riviera Maya and even scratched the surface of its vast eco-tourism opportunities and green travel. Each trip an adventure. And after each journey, I only discovered that my love affair only continues to grow. Just last Thursday, I attended the Mexico Tourism Board’s (MTB) road show in New York City. There, I met the new Secretary of Tourism, Gloria Guevara Manzo and others as they presented the new direction for tourism in Mexico. The direction that strikes right at the core of what makes Mexico magical. 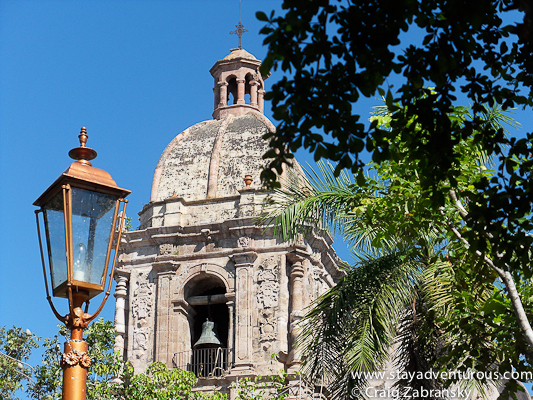 A direction that promotes Mexico as more than a beach destination, but offers and opens its culture to its visitors. Listening that evening, I noticed, the message seemed to come from the heart of each speaker and every presenter including the secretary herself. They are promoting the Mexico they love. But, will people, tourists finally start to understand all that Mexico offers. Mexico is a diverse country of 31 states. Places where you can find wineries to tequila distilleries, beautiful beaches to majestic mountains, tropical jungles to forests, caves to cenotes, ancient ruins to modern art, mariachi bands to Mayan mysteries, and colonial pueblas to cosmopolitan cities. So much to see, explore, and enjoy. So much. But how can you show all this or even explain it? It’s not easy, but the video presentation we watched that evening did an excellent job. It provided a new way to look at Mexico. It also explained the Mexico I love. So, tell me after you watch this – Rutas de Mexico – Do you want to experience Mexico? Thought so. I’ll see you south of the Rio Grande. Been there many times and I hope to get back! I agree… magical! Just don’t drink the tap water! Beautiful video…and you’re right. How do you explain it to people in the US? Many unfortunately only know burritos and tacos. And what may come as a shock to some, a Mexican friend, an amiga once asked me what a burritos was… true story. Thanks for chiming in…. Having just returned from 4 months of solo traveling around Mexico by bus, train and boat, I can now truly say I am in love with Mexico. I’ll go even further and say I am addicted to Mexico. I leave Sept 1st for 5 months in Asia, but I can hardly wait to get back so I can return to Mexico. So curious to see how your love affair with Mexico survives your Asian Adventure… will absence make the heart grow fonder… it very well might with Mexico. Informative article. Great video. I always wondered why American traveler choose a Caribbean vacation over Mexico. Mexico not only has the beautiful beaches, great weather and wonderful resorts but it also has the culture, history, great music, and a great Mexico cuisine. I’ve been to many cities in Mexico and loved them all. Wonderful post! I think part of the magic of Mexico is that there’s so much variety – sure there are beautiful beaches (some of the best in the world) but there are also some of the best archaeological sites in the world, as well as stunning colonial cities, amazing natural attractions…and more. There’s always something more to see, something new to keep you going back. I’m hooked! Excellent post, and great pictures. Greetings from Monterrey, Mexico. great post craig. i too am in love with mexico. Nice post and excellent video. 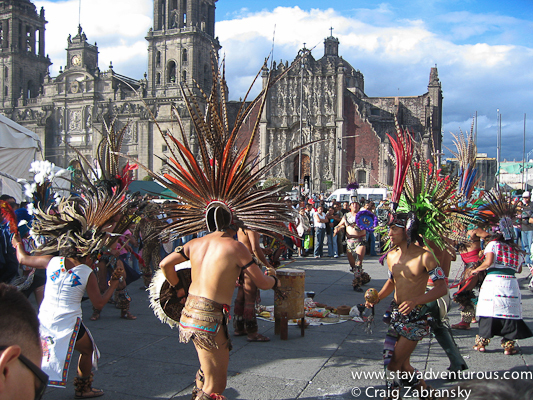 It demonstrates nicely how chock full Mexico is of fascinating destinations and cultures. It’s an effective counter-weight to some of the cliches about Mexico. 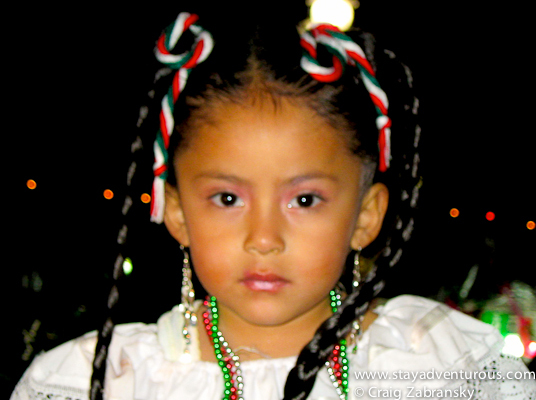 I love mexico too… great post! I love seeing your love & enthusiasm for our beautiful country. I must say, ironically, sometimes the people that love most this country are not the ones born here! You are a fine example of that. Many thanks for helping promote the good image of Mexico, and I’ll be waiting for your next Cancun visit to have a couple of ice cold cervezas at the beach! Glad you enjoyed the post…it is easy to promote something when you truly believe it. Also, I expect to land in Cancun on August 12th…looking forward to my next Mexican adventure and of course those cervezas. Getting more people to see more of Mexico will be a monumental challenge. First, a tour operator probably will get ten times more responses to an ad promoting beach vacations than he (or she) will for ad ad promoting a swing through the colonial highlands. Either ad will cost the same. Where would you put your money? Also, the areas along those Ten Routes are not equipped to handle large groups. There are not enough hotels rooms. Let us hope it stays that way. Interestingly, Mexican vacationers also prefer the beaches. Here in Mexico we hear much about how successful Spain has been with its tourism industry. The big attraction? Not the castles but the beaches. A monumental change, but a welcome change, no? And why must we assume it will be too difficult to accomplish? Because of an ad cost? Plus, why do large groups need to be the mentality for tourism (bigger is better?) You, yourself don’t want the land over developed either. To me, smaller, more meaningful experience is what I look for when I travel and I think the world is moving in that direction. I just hope Mexico is wise enough to stay the course. And as for Spain, for me it is hardly the beaches I talk about from my travels there. To me its the culture, history, life style and above all the cuisine (best in Europe). Yes, I may have surfed and watched the sunset at San Sebastian (http://bit.ly/8XOrOk), but the Pintxos, Rioja, and conversations enjoyed in the old part of town are why I want to return. You’ve described the wonder that is Mexico so well! And I can relate, it’s an integral part of my travel story as well, and of me. Truly an amazing country & I have yet to see as much of it as you have. Great video also, Mexico owes enthusiasts like you, for spreading the love! Thanks for the great article on Mexico! I too fell in love with Mexico when traversing the Baja peninsula in the 80s with my Dad. And now I have introduced my kids to the Mexcio addition while filming for the television show Travel With Kids…our favorites: Mayan Riviera (great combo of Mayan history and Caribbean beaches), watching (and petting) whales in Baja, adventure fun like scuba diving and zip lining in Cabo San Lucas and I love Oaxaca as well! @travelwithkids, so glad to hear you introduced Mexico to your kids after your visited with your Dad… I hope to do the same some day. There is so much to see, explore and enjoy in Mexico… and you certainly selected some of my favorites.